The Purpose of Education, According to Dr. Martin Luther King, Jr.
Today, on Dr. King’s birthday, we want to honor his memory and highlight one of his reflections — “The Purpose of Education.” This powerfully worded piece, penned by Dr. King in 1947, was published in The Maroon Tiger, the campus newspaper at the Morehouse College where he completed his undergraduate studies in sociology. A great majority of the so-called educated people do not think logically and scientifically. Even the press, the classroom, the platform, and the pulpit in many instances do not give us objective and unbiased truths. To save man from the morass of propaganda, in my opinion, is one of the chief aims of education. Education must enable one to sift and weigh evidence, to discern the true from the false, the real from the unreal, and the facts from the fiction. Nearly 60 years after it was published, this piece still resonates very deeply with all of us here at The Think Tank. We believe youths across all ethnic, socioeconomic, religious and sexual identities should have ready access to high-quality education, one that equips them with the critical-thinking skills to objectively navigate their curiosities, change their communities in positive and sustainable ways and inspire generations after them to do the same. Our cities will be better for it. 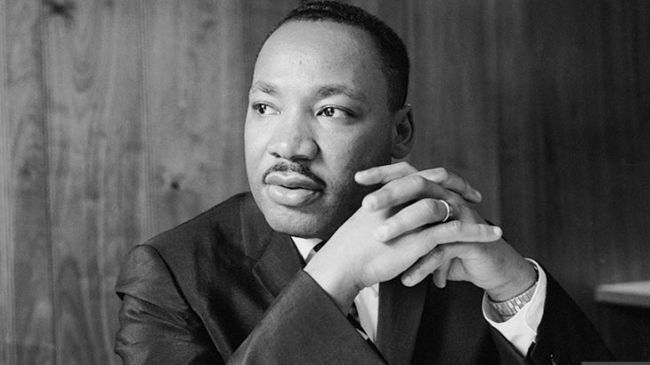 So we want to say happy birthday and thank you to the man who kicked it all off and still serves as a resounding example of social justice and integrity 45 years after his assassination. We hope you, our supporters, are just as inspired by his example as we are.